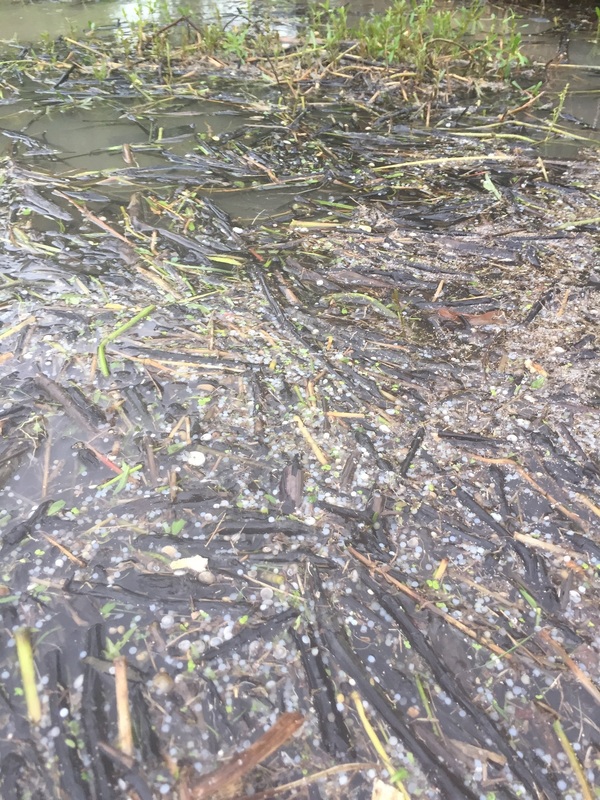 For years, San Antonio Bay Estuarine Waterkeeper has reported that a 2,500-acre petrochemical complex on the Texas Gulf Coast has been illegally discharging plastic pellets and powder into Lavaca Bay and nearby waterways. A new report shows that this plastic pollution is likely to harm the ecosystem. In 2016, San Antonio Bay Estuarine Waterkeeper (SABEW) responded to lack of oversight of the Point Comfort, Texas facility, owned by Formosa Plastics, from the Texas Commission on Environmental Quality (TCEQ). 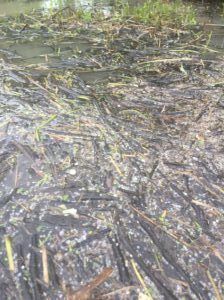 SABEW and volunteers began collecting pellet and powder samples from over 20 miles of shoreline along Cox Creek and Lavaca and Matagorda bays. 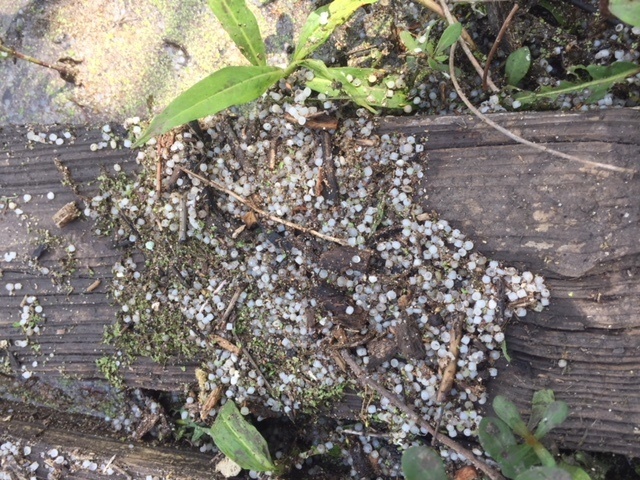 Plastic pellets in Cox Creek. Between 2016 and today, SABEW has collected more than 2,154 samples of polyethylene (PE), polypropylene (PP), and polyvinyl chloride (PVC) powder and plastic pellets in quart and half gallon bags, boxes, trash cans, and bottles—clearly documenting that the Point Comfort, Texas facility has violated the federal Clean Water Act for at least the last 30 months. In addition to collecting samples, SABEW contracted Jeremy Conkle, Ph.D., an environmental scientist at Texas A&M University at Corpus Christi to complete a report regarding the plastic pellets and powder in Lavaca Bay and surrounding waters downstream of the Formosa facility. The report shows that there are more than trace amounts of plastics in the bay. A result of this is that a “portion of this plastic will be consumed by organisms within the bay, including fish, turtles, shrimp, oysters, crabs, and birds during their various life stages.” And if not physically removed, this material will accumulate on shorelines, beaches and in sediment, where it will persist indefinitely. Additionally, plastics typically have chemical additives, but also absorb environmental contaminants. When consumed, both the additives and absorbed contaminants could transfer from plastic to the organisms. This has implications in Lavaca Bay, which has a history of industrial pollution, particularly mercury and polycyclic aromatic hydrocarbons (PAHs). In 2017, SABEW filed suit in federal court against Formosa Plastics, asking the court to require Formosa to stop illegal discharges of these plastics and seeking $49 million in penalties. Shortly after, TCEQ launched its own enforcement action against Formosa and eventually negotiated a proposed fine of $121,875 for 43 days of violations, which TCEQ knocked down to seven actual violations. The proposed order did not even include halting of the illegal discharges of plastics. SABEW filed comments June 26, 2018, on the proposed TCEQ terms, asserting that the proposed order imposes no cessation of unauthorized discharges, no engineering fix, no requirement for planned removal of illegally discharged pellets and the penalty was shockingly inadequate to the flagrancy of the violations. TCEQ has yet to respond to SABEW’s comments and the meager proposed penalties are pending at the state agency. Meanwhile, SABEW’s federal lawsuit continues and SABEW volunteers continue to find pellets and powder discharged by Formosa in the Bay and surrounding waterways. 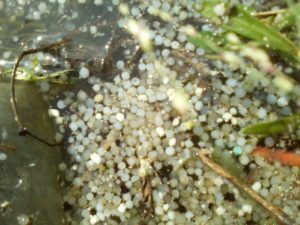 More than 25 years ago, EPA released a 130-page report warning of the dangers of plastic pellets in waterways. In that report, entitled Plastic Pellets in the Aquatic Environment: Sources and Recommendations, EPA recommended applying “significant penalties” when industries discharge plastic pellets into water. Formosa is a huge and wealthy company and part of an even larger Taiwanese principal parent, Formosa Plastics Group, which reported a net income of $1.096 billion from its U.S. operations alone. The Point Comfort facility is expected to complete a $5 billion expansion in 2019 and most recently, announced that its controversial and environmentally challenged Delaware PVC plant would be moving its operations to Point Comfort, Texas. The report recommends, for the health of the ecosystem as well as the local economy (fisheries and tourism), that the release of this material is halted immediately and that all Formosa outfalls are continuously monitored by an independent party to detect and quantify future releases.